Tickets for the Denver Rare Beer Tasting IV, an awareness event and fundraiser for the Pints for Prostates campaign are now on sale. The event takes place during the Great American Beer Festival on Friday, Oct. 12th from 1:00pm ~ 4:00pm at the Wynkoop Brewery in Denver. The price has increased this year to $100, but each attendee receives a commemorative tasting glass, t-shirt, program and pen as well as a three issue trial subscription to All About Beer Magazine. I've attended the previous three events and although the price has increased each year, I still think its worth it. The money goes to a very worthy cause and you get the opportunity try rare beers and meet the brewers who made them. 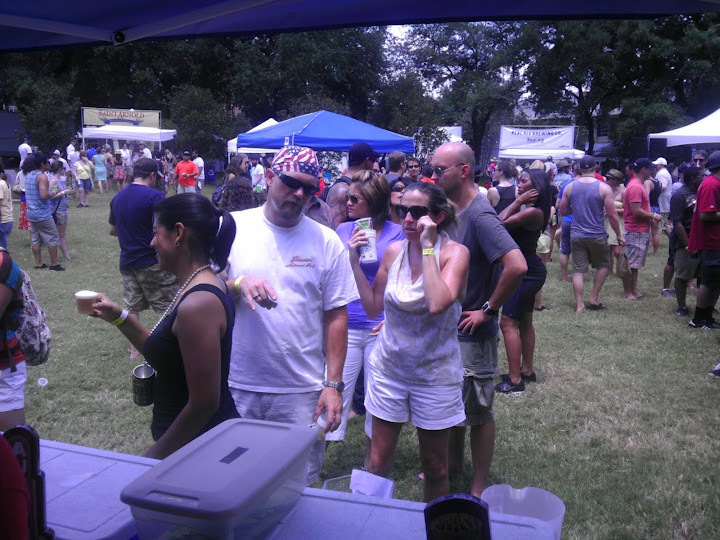 The list of beers that will be served is not available yet, but is typically released closer to the day of the event. The Denver Rare Beer Tasting IV is completely sold out! We are looking forward to reaching men through the universal language of beer on Oct. 12 and appreciate the loyal support of craft brewers and beer fans. 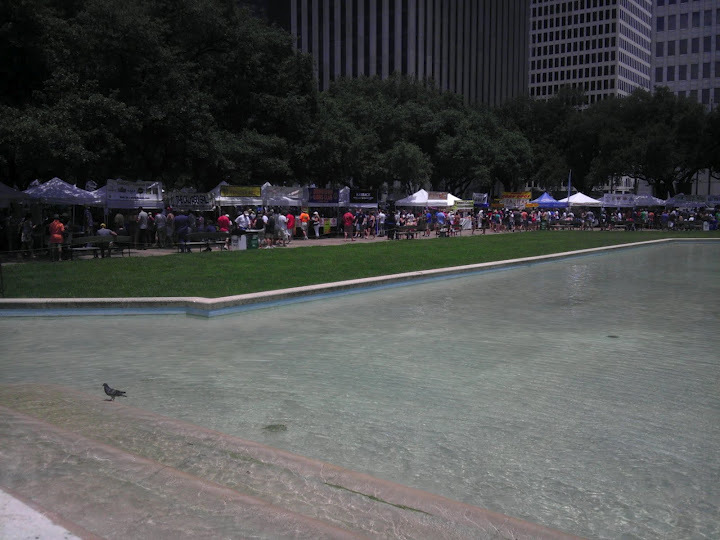 Everyone remembers the first Houston Beer Festival last year, whether you actually attended it or not. Thanks to Facebook and Twitter, you were able to experience the complete fail as it was happening. With all those very public issues and problems, many were quite surprised to see that the organizers had began planning for a festival in 2012 almost immediately after the first one ended. At least they'd know what not to do. I wasn't at the festival last year, but I attended this year to help setup and work in the Independence Brewing booth. 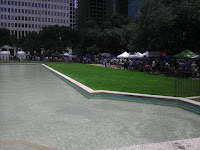 And although I was a little concerned that we'd encounter some of the problems reported at the previous festival and other recent festivals in Austin, I really didn't see any of the issues that caused such an uproar last year. During setup there was some confusion about where specific vendors were supposed to be located and the beer for a few breweries remained locked in a refer trailer until after the gates were open because no one could find the person who had the keys, but everything eventually got sorted out. There were entrance gates all around the park and other then the initial surge of people when the gates first opened, the lines appeared to be pretty short and everyone seemed to be entering pretty smoothly. 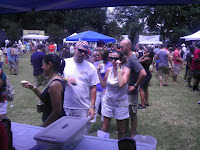 Water stations and bathrooms were in abundance and there was definitely lots of cups, ice and more importantly, beer. 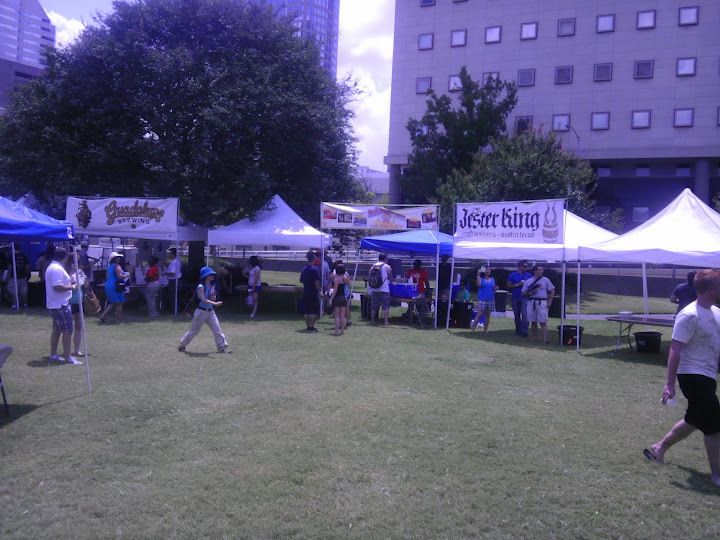 The booths for all the Texas breweries were located in a part of the park that was separate from the main festival area (you had to cross under Rusk to get to it) which was good and bad. 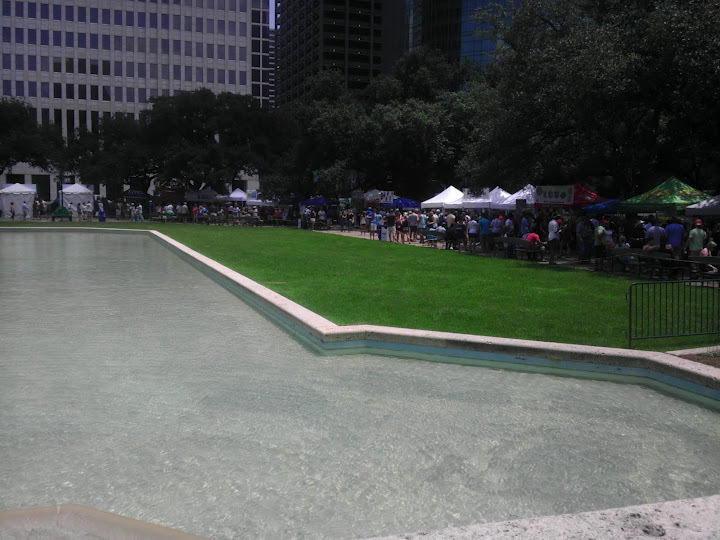 It was cool in that it gave that area the feeling of a being at a small Texas craft beer festival, but I wonder how many people may not have even known that section was there or bothered to wander over to it in the hot sun. In the main festival area, the brewery booths and the other vendor booths (food, games, jewelry, etc) were mixed together which made it more difficult to find the breweries. 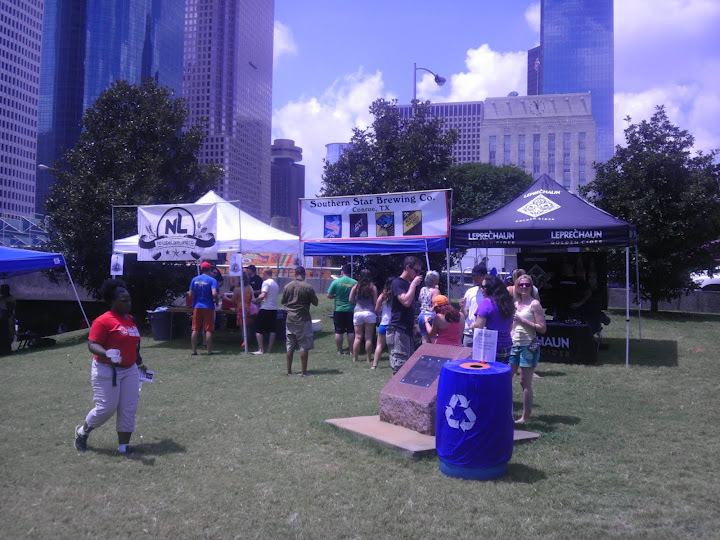 In between Brewery Ommegang and Brooklyn Brewing was a booth for a dog poop scooping business. 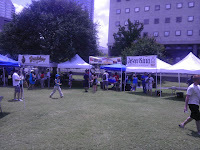 Nothing against their business, but its not exactly what I'd expect to see when attending a "beer" festival. 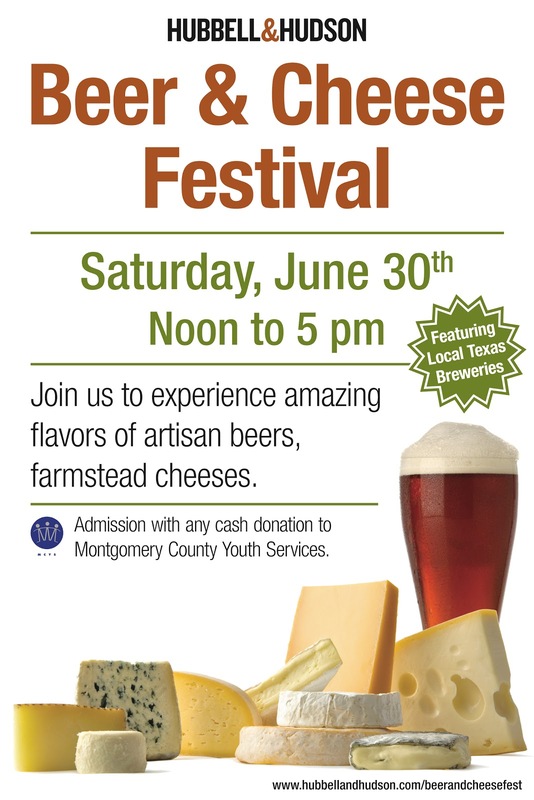 Look, as long as Bud Light is being served and Beer Pong is featured, this festival is never going to appeal to the beer geeks out there. 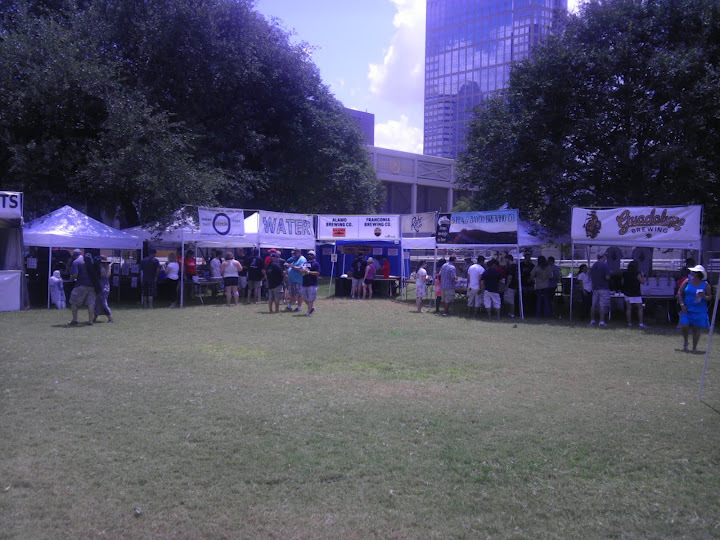 However, it was a great festival to introduce new people to the wonderful world of craft beer. There were a lot of people that came to the booth who were already familiar with the beers, but there was also a lot who were trying craft beer for the first time and liking it and that's a good thing. 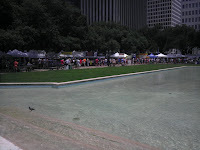 Below are a few photos I took around the festival during setup and after it was in full swing. Feel free to leave comments about your experience if you were at the festival as well.